The American Council of Engineering Companies of Oklahoma recently awarded Garver an Engineering Excellence Award in the Special Projects category for work done on the MAPS 3 Oklahoma River Race Course Lighting project. Garver was honored to be selected by Oklahoma City to provide design services to illuminate and aesthetically enhance the first permanently lit 1,000-meter race course in the world. 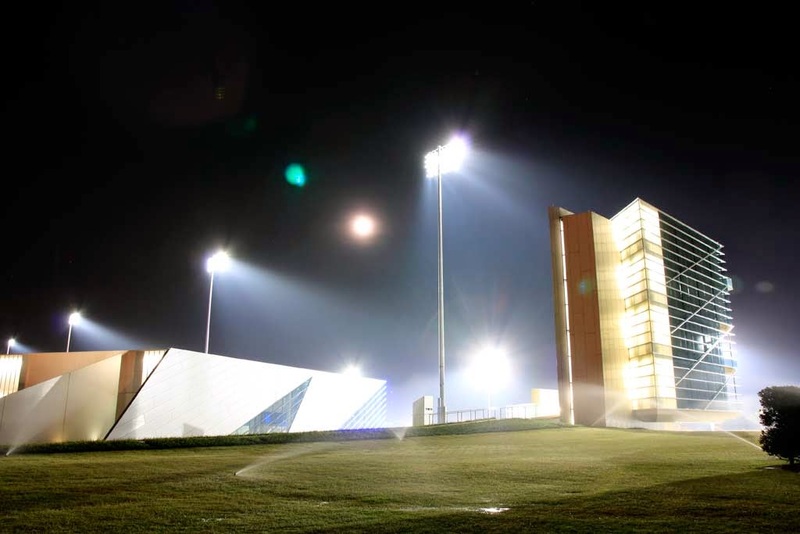 The project included event, practice, and architectural lighting to support nighttime activities, U.S. Olympic time trials, and other special racing events. 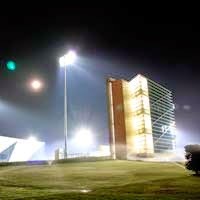 Garver designed and installed lighting for the equivalent surface area of nearly nine football fields along the Oklahoma River. 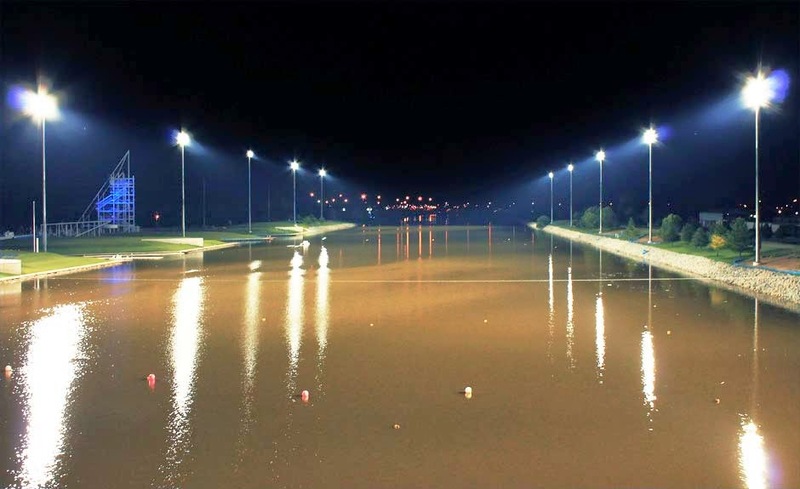 Twelve poles, with a combined 346 lights, made up the construction of stadium-style lighting for 500m of the Oklahoma River in what is the first of three phases for this lighting project. In addition to the 1,500W light fixtures on the 12 poles, Garver’s design called for fixtures installed on Byer’s Bridge for lighting the racelanes and turn-around area under and around the bridge. Other MAPS 3 projects to be completed in the next few years include a multi-purpose trail and a new convention center, but for now, in a city that lies far from any oceanic beach, cutting-edge technology is proving useful to shine the spotlight on the middle of the country when it comes to world-class water sports. For more information, see the project's article in Infrastructure Quarterly.